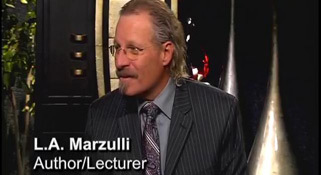 "L. A. Marzulli is an author, lecturer and film maker. . . . His new series On the Trail of the Nephilim is a full color, over-sized book which uncovers startling evidence that there has been a massive cover up of what he believes are the remains of the Nephilim, the giants mentioned in the Bible! He is now working on Volume II, in the series which promises to have even more incredible and revealing photographs and interviews! L. A. is On the Trail!"